Posted on June 14, 2014 . 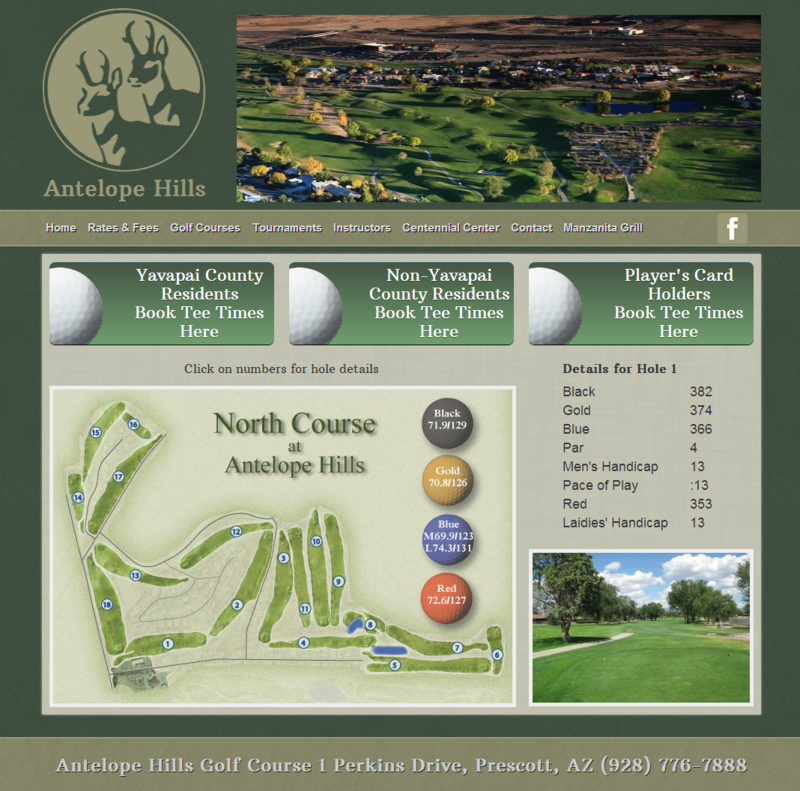 The Antelope Hills golf course was given one page on the City of Prescott’s website. 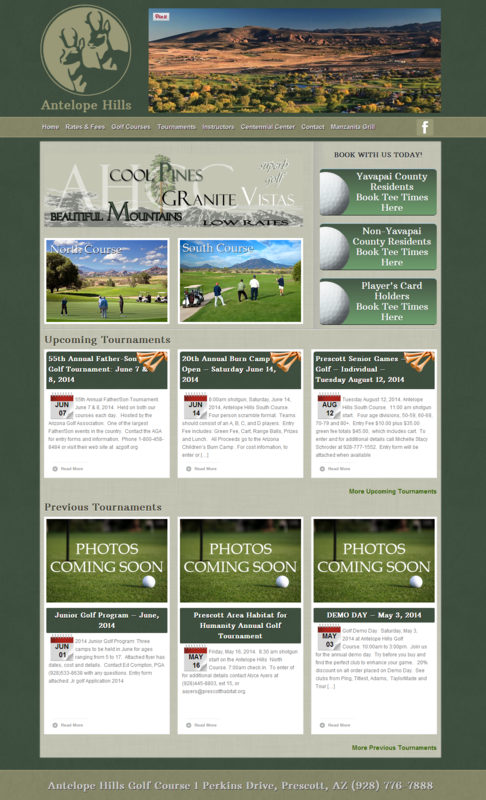 They decided to move away from jus one page and a have a whole site dedicated to the golf course. An elegant theme with a dark green background was decided on. with various images of golf related items as accents. The north and south course was featured with dyanmic maps that enabled the user to select each hole and see a photo of the actual hole as well as the stats for that hole. A prominent section was given to upcoming and previous tournaments. The previous tournaments sectionhad a gallery designed to display all the photos from that tournament. A page was designed to feature the various instructors with tips from each instructor in random rotation. 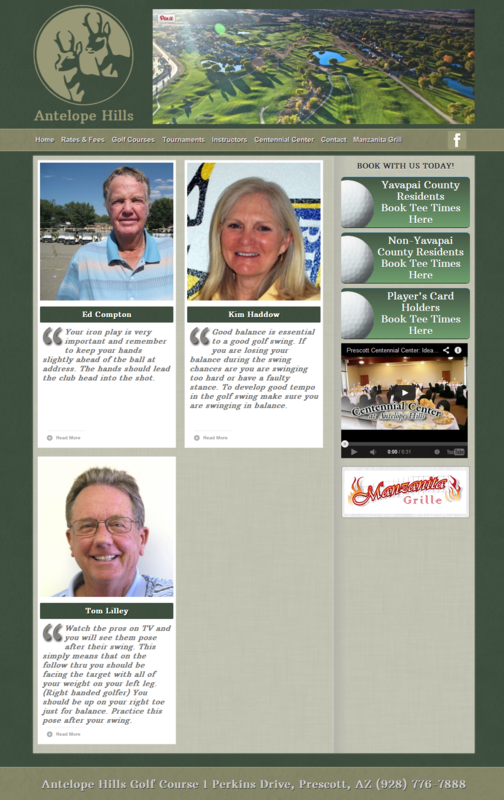 The golf course has tow additional properties, a restaurant and a meeting center. Both were featured with videos and a menu for the restaurant.